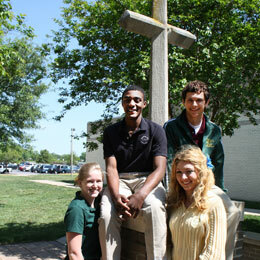 The Catholic Diocese of Richmond will make financial aid available to all who seek a Catholic education within the confines of the Catholic Diocese of Richmond from a special fund, the McMahon Parater Scholarship Foundation (MPSF). June 1, 2019 for new families and families with business income. Applicants can apply online at https://online.factsmgt.com/aid. If you have questions or concerns about the FACTS application process, you may speak with a FACTS Customer Care Representative at 1-866-315-9262. 3. Families with W2 income only will need to send their 2018 tax return along with their 2018 W2’s. 4. Families with income other than W2 income (such as rental income, business income, income from a partnership, or any other source of income) must send their 2018 tax return and 2018 W2’s. 5. Families who are not required to file a tax return must send documentation to reflect this, such as documentation for Social Security Income, Welfare, Child Support, Food Stamps, Workers’ Compensation, and TANF. Funds from the McMahon Parater Endowment will provide tuition assistance for qualified applicant by April 1, 2019 for Round 1 families and July 1, 2019 for Round 2 families. Awarded amount will not exceed FACTS calculated need. Education Improvement Scholarship Tax Credit (EISTC) awards maximums are predetermined by the United States Department of Education based on the per pupil amount distributed to the school district (in which the student resides) as the state’s share of the students of quality (SOQ) costs. Principals are required to verify that the aid provided by the McMahon Parater Foundation has been accepted by the family and the student is enrolled and attending their school by September 15, 2019. Distribution of the MPSF monies will be available after October 1, 2019 of the new school year, and will be sent to the school on the child’s behalf and credited towards tuition. Should a family decline the MPSF financial aid or should a family leave the school during the year, the Diocese must be notified immediately at 804-359-5661.